Park Point, the highly anticipated luxurious high-rise residential community by Qualex-Landmark, officially opens its doors today and welcomes up-to 289 new residents. Homeowners will begin the tiered move-in process with the first keys being handed over on the morning of Thursday, August 9th. The official opening was celebrated with a ribbon-cutting ceremony and tour of the building with Deputy Mayor Evan Woolley, Councilor for Ward 8, Qualex-Landmark President Mohammed Esfahani, Qualex-Landmark Managing Director Cyrus Navabi, IBI Group Director Martin Bruckner and Axiom Builders Senior Vice President Mike McDonough. 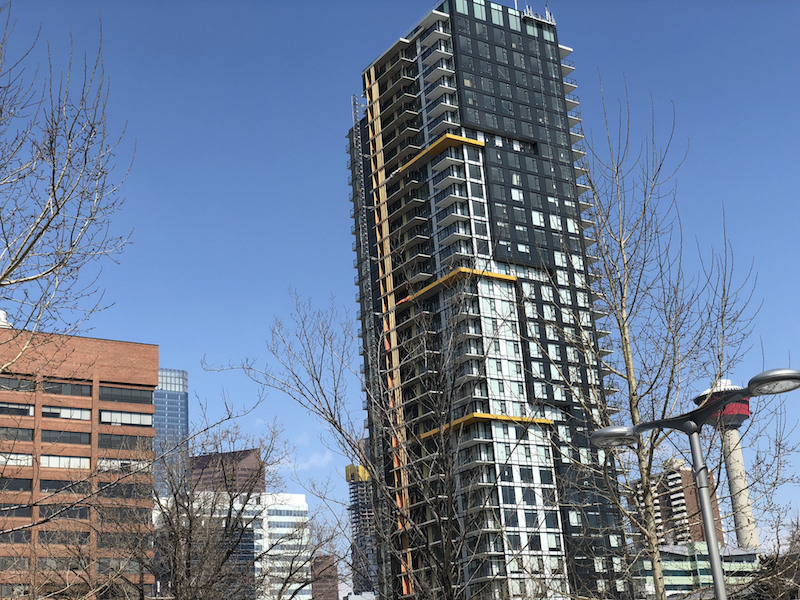 Construction began in the fall of 2015 and the development has progressed on schedule, hitting every milestone in its advancement into the Calgary skyline. To achieve this, there were up to 170-200 workers on-site over a certain course of the project and during peak times and an average of 135 people working every day to ensure the project’s success. Designed by the global architectural firm IBI Group, Park Point features 289, one, two, and three bedroom homes including a number of live/work townhomes at ground level. 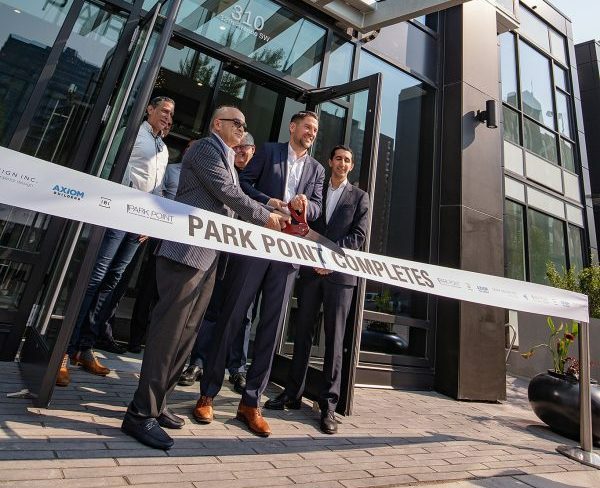 With its black and white façade, as cited from the park and downtown, Park Point has a strongly visible vertical architectural presence which is meant to faintly resemble an exclamation point with the podium at its base as the dot. We’re happy to announce five remaining homes sold so far in April! When your home speaks for itself: streamlined modern living space where..
One of Vancouver’s most beloved communities, Dunbar is perfectly located just minutes from downtown, stunning beaches, University of British..
"Our purchase at Luna has been an exemplary experience. From the treatment from the initial sales staff, to the frequent construction updates, to obtaining possession of our suite earlier than anticipated, to the hassle free closing of the sale. We are very pleased with the level of craftsmanship in the suite, every minor deficiency we noted during the complementary pre-delivery inspection was rectified and we moved into a flawless new home! Very impressed with our experience with Qualex and will definitely consider them first on any future potential real-estate purchases. Thanks all!"